A Personal Loan can be termed as finance conveniently available in times of need; Expenses incurred via Personal Loan can be for higher studies, renovation of the residence/work place, marriage of a loved one, high end consumer products, vacations, medical emergencies etc. Completely unsecured in nature, Personal loans are advanced by Banks & financial institutions solely on the basis of the borrower’s ability to pay back the Loan from his monthly income. Loans are provided to applicants with minimal documentation & speedy process for easy availability of funds. Worried about sudden expenditures? A “Personal Loan “is the answer to your immediate funding requirements! We at yourloanadvisors.com are committed to Customer service. Process your Personal loan at the best available ROI. With our experience we are now poised to help our customer’s to achieve funds desired with the best terms & conditions. No hassle to customer, we give Door step delivery of your Personal loan. Sincere follow up on behalf of our Customer with banking institution. Expert advice & guidance to for solving any of loan related issues such as Debt consolidation. Most Leading Banks & NBFC’S actively offer Personal Loans as a Primary product. With slight variations the basic features remain the same. A Personal Loan is a Loan issued without any co laterals or guarantee. Loan Amounts offered for minimum of 50k up to 30 lakhs. Flexible repayment options available from12 months up to 60 months. The Rate of Interest is fixed for the approved tenure; EMI is calculated @ monthly reducing balance. Personal Loans are disbursed within 3 to 5 working days. The Company with the applicant is currently employed. The monthly salary credited to the Salary account.. The Processing fees are paid by the Applicant to cover costs incurred by the Bank to process a file & forward the Loan amount. The amount may vary from one institution to another. Discounts may be offered on large loan amounts & to prime customers. The Processing fees are usually deducted from the Personal Loan amount disbursed. If a borrower wishes to pay a sum towards his Loan in parts or pay off his Loan entirely before completing the Tenure, the Bank or Financial Institution will levy an extra charge. Part payments/Pre closure may be permitted only after a payment of a certain nos of EMI’S. These charges are levied on the principal loan amount balance. Facilities for a part payment or pre-closure of a Personal Loan vary as per the individual policies of the Bank/NBFC. Minimum salary drawn should be 15,000/- per month or more. Give clear self attested copies of all documents for processing to avoid delays. Put in your Loan application in Advance, as your Personal Loan approval will be valid for a week to a month as per the policy of most Banks. Choose a suitable Tenure, for calculation of your EMI: your monthly installement should not be a burden on your budget. Our experienced Team at Yourloanadvisors.com is ready to give our Esteemed Customers a clear idea of the pros & cons of the Banks & NBFC’S, to help, guide & assist to successfully fulfil their Personal Loan requirement. Our dedicated services are free of charge! A CIBIL Score is not mandatory with all Banks for processing of a Personal loan. Your CIBIL score reflects a complete history of all credit transactions to date. A credit score of 720 points & above is considered a satisfactory score for a Personal Loan process. Always check your CIBIL score before applying for a Loan. Every time a Bank or NBFC an enquiry for details to CIBIL the score gets reduced by 20 points, so never make indiscriminate Loan applications. There is always a room for error with CIBIL so in case your record has not been updated correctly; steps can be taken to remedy the same. Personal loans require very little paperwork and lesser processing time when compared to other loans. Furnishing an income, identity and address proof along with the loan application is all that you need to do to apply for loan. What possibly can go wrong in this simple process? How come your loan application gets rejected even if you have a stable job that pays well? Blank fields are a cause for concern as lenders are bound to simply ignore such applications even if you otherwise fully qualify for the loan. Typo errors and spelling mistakes may result in incorrect details even if unintentional. Tampered proof documents or falsified information also ruin your chances of availing loans in future as well. Your personal loan application must be complete in all respects and the details you provide must be verifiable. Personal loans are unsecured and hence a risky proposition for lenders. There is no reason for them to offer a loan to applicants who have a track record of deferring or delaying payments, be it EMIs on current/earlier debts or credit card bills. Credit History and credit score is one of the key reasons for loan rejection. Despite meeting eligibility criteria, applications may get rejected if the income does not really seem enough to pay up the request loan amount, given the average cost of living at any given time. Requesting a loan that is within your repayment capacity (based on income proof) stands a better chance. Job continuity matters as it is indicative of commitment and resilience of the applicant. Frequently switching between jobs even if highly rewarding, or taking frequent breaks from service may be interpreted as lack of seriousness or discipline. Applications from borrowers who may already be burdened multiple concurrent debts are bound to be rejected, especially if they are unsecured loans. Remember, your income can service only a limited number of EMIs in addition to your regular expenses. Applications from potential borrowers who have not been regular in filing income tax returns may also get rejected. Reporting income is considered to be a disciplined and responsible action that works in your favour during loan processing. 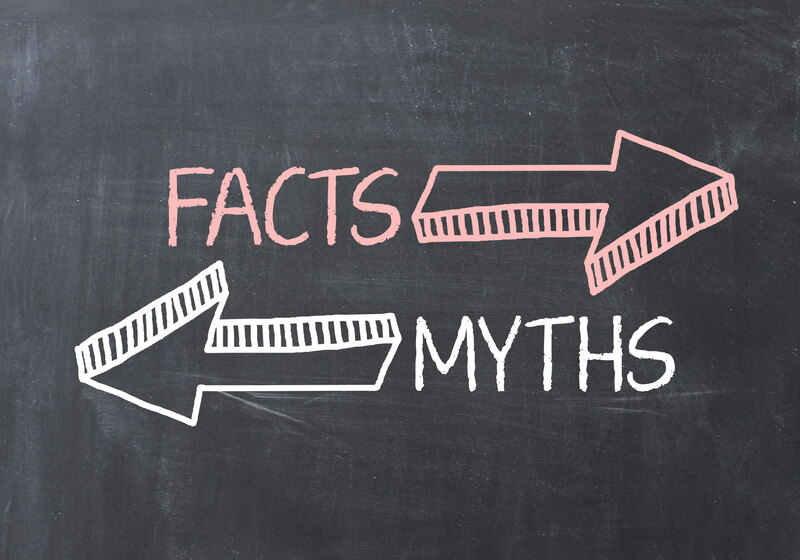 A co-applicant with not so great credit history or multiple loans too can cause lenders to reject a loan application, even if the primary applicant is eligible for a loan. Just about any reason that flags you as a potentially risky borrower can result in rejection of your loan application. Make sure to look out for and avoid these pitfalls when applying for a personal loan, and do not attempt to ask for changes to the terms once your loan is approved. A stable job is a key criterion that heavily influences the availability of personal loan as well as its size. If you are employed in a reputed company, your chances of availing a personal loan are pretty high, however if you are a government employee you most likely can benefit from the preferential lending rates offered by select lenders. If you are presently employed in a Government job or have retired from one, you may not have any major difficulties in obtaining a personal loan to fund additional/emergency expenses. You can opt for a regular personal loan from any bank (Axis Bank, State Bank of India, IDBI Bank) if you are eligible for the loan. Most banks offer personal loans at lower interest rates for Government staff and PSU employees. Even by those standards, such loans attract high interest rates of typically around 11% and above, but can help you tackle unavoidable expenses. 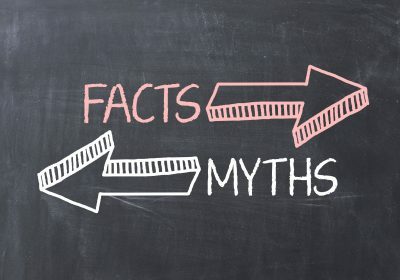 Make sure to note that interest rates tend to differ based on the type of organization you work with – Employees in Defense, Railways, Public Sector Banks, Public Sector Undertakings falling under Maharatna / Navaratna categories do get to avail different interest rates on personal loans from ICICI Bank, HDFC Bank and others. Other conditions that apply to a personal loan pretty much remain the same. Age limit typically is 21 – 65 years, except that pensioners need to repay the loan fully before they complete 75 years. Banks expect applicants to have at least 3 years of service and 6 months in the current job to ascertain job continuity. Loan processing fees and pre-closure charges are usually applicable. Impressive credit history and scores always make the difference. That said, there are always exceptions to common rules and you must look around for the most favourable / affordable personal loan before deciding to apply. Remember to also calculate the total cost of the loan, keeping in mind to work out a comfortable EMI (30-40% of monthly income) when comparing loan products. Banks and Non-Banking Financial Companies (NBFC) in India offer personal loans to meet specific purposes or expenses. While a personal loan can serve any purpose and it is not mandatory for you to state the purpose when applying for one, the different loan products simply help make the shopping process lot simpler. 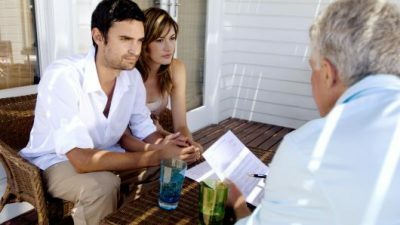 For example if you are looking for a personal loan to fund a wedding, researching and comparing wedding loans will prove a great starting point. 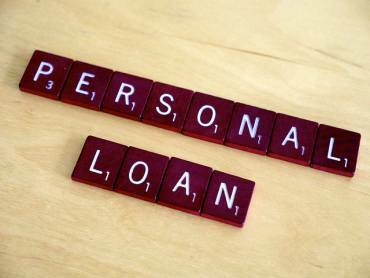 Here are some of the common reasons for which personal loans available in India. Some of them may be available at select banks /lenders only. The loan amount, tenure, interest rates, eligibility, fees, penalty and terms and conditions will vary across lenders. A timely loan can help you take care of all major expenses in a planned and organized manner allowing you fully enjoy the special occasion without being bogged down by financial concerns. With sufficient funds to spruce up your home with latest amenities or address vital/extensive repairs, home renovations /improvements need no longer drain your earnings. Make sure to consolidate your wish list and get a quote from a trusted contractor before applying for this loan. Holidaying abroad or at an exotic location is very much affordable with personal loans for holiday travel that help finance your entire trip right from tickets to shopping. Saving up for a dream holiday, though typical, can cause you to lose a lot of precious time. Instead you can opt for a suitable personal loan and spend quality time with loved ones at your favourite destination, without burning a hole in your pocket. Electronic appliances form an integral part of Indian homes. From basic television sets to food processors, air conditioners and geysers, consumer durables do make life a tad easier and comfortable. You can now furnish your home without cutting down other expenses or using up savings, by picking an affordable personal loan. Education is a costly affair at present times, but is essential to survive in this competitive setting. Funding your child’s education or even your own higher education with a personal is a wise decision, for it enables you to pursue learning without being worried about the expenses involved in achieving your dream qualifications. India is a land of festivals. Each festival has its own significance and customary expenses as well. If you are unable to make ends meet this festival season, check out the personal loan offered by few lenders. Small, short-term loans (12 months) with low interest rates are characteristic of this loan, which may prove handy to dole out gifts to your loved ones. Did you know that your first salary slip makes you eligible for a personal loan of about 1 – 1.5 Lakh rupees? While it is important that you spend the money responsibly, you can afford to treat your friends and family or rent a studio apartment in your city of work, pick up few sets of formal clothing – just address any immediate expenses comfortably. Personal loans for medical emergencies and debt consolidation are also available. Top-up loans are also conditionally offered, over and above current personal loans to address additional requirement for money.